We are delighted to announce that we have a new blog on our main website. Every week we will be sharing our news, views and suggestions with you so that you can keep up to date with us on a regular basis. Through our blog, we can express ourselves in a more informal way than our journal. We will be making recommendations to advance your skills and encouraging professional development, as always! You will be able to see what discounts are currently available to you through ILSPA, whilst learning about other companies which can help you with your career. 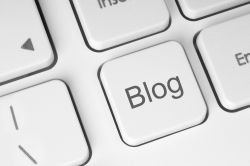 Our blog is a great place for us to share any news from the legal industry as well as events taking place which you might be interested in. Throughout the year, you can attend Legal Secretary-related conferences, award shows, job fairs and exhibitions, so do take a look as our blog gets busier in order to see what’s going on. Staying in tune with your profession though our blog and journal helps you feel that you are part of a community. Whether you are just starting out or an experienced Legal Secretary, we aim to give you helpful advice so that you are well informed and can be at the top of your game. If you would like to contribute anything to our blog, please feel free to contact us at info@institutelegalsecretaries.com. We care about our Members’ views and would love to hear from you. Recruiters Can Advertise Legal Secretary Jobs for Free!